Click Z Live with Filip! 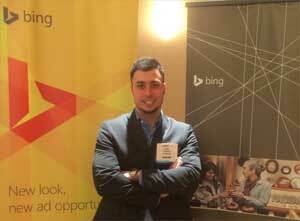 Our very own Filip Kudjerski, Director of Search at Outreach, spoke at Click Z about campaigned optimization for Bing Ads. At Outreach he works with clients to unlock their digital marketing potential. His daily responsibilities include developing campaign strategies, analytics data analysis, campaign management and providing consultations. Filip lead this seminar with Andrew Yang, Search Evangelist from Microsoft Canada. Together they used their experience and expertise in the field to speak about topics such as using Bing Places to claim your business listing, Bing Ads search marketing, and even touched on Bing Product Ads. Filip and Andrew successfully wrapped up the session with power analytics that they strongly recommend using with a Bing Ads Search Campaign.